The Bishop of the Nnewi Diocese, Most Rev Hilary Odili Okeke, has explained why the church does not investigate the source of income of those who give it offerings and donations. 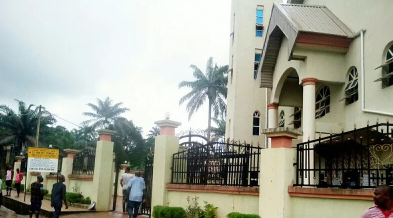 The leadership of St Phillips Catholic Church in Ozubulu have been under serious attack after reports emerged that last Sunday's massacre in the church was a fallout of a business deal between two drug lords, one of whom had donated a building to the church. He also lashed out at some parishioners who have called for his resignation following the attack.